CUSTOM BUILDER PROFILE: CHAD CAHILL'S PASSION FOR PERFECTION WAS INSTILLED EARLY. Chad Cahill recalls the conversations. They were years ago, when he was literally growing up in the homebuilding industry — yet the words still resonate. 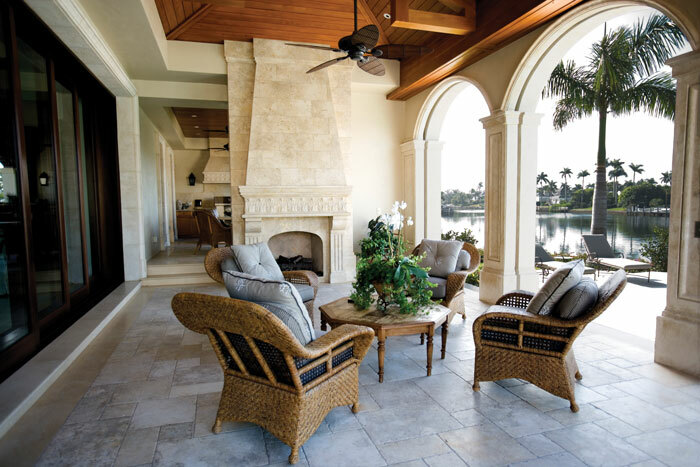 His father, Steve Cahill, had founded Cahill Homes in 1977, just two years after graduating from the University of Florida, and distinguished himself, along with his company, as a builder of stunning high-end homes. The hallmarks were creative design, top-notch craftsmanship and customer satisfaction. Also, there was an emphasis on trust between the builder and its trade partners. That philosophy of business and life is why Cahill Homes has maintained a rock-solid reputation as a Central Florida custom builder, with success built on a foundation of honesty and integrity undergirded by what Cahill calls his three company pillars: realistic budgets, on-time delivery and great communication. Cahill Homes is a design-build company, which means it oversees every aspect of a project, including hiring the architect and interior designer all the way through finishing touches to make moving day the exciting experience that it ought to be. All the while, Cahill remains the sole point of contact, so customers don’t need to worry about whether a change was communicated correctly or how it might impact the schedule or the budget. 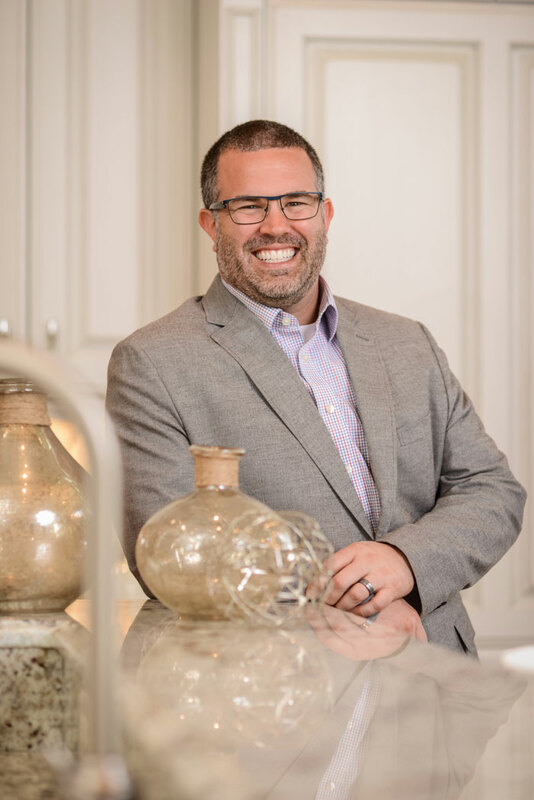 Cahill is currently president of the Master Custom Builder Council, which represents 26 of the area’s top custom and luxury homebuilders. It’s an exclusive organization, with potential members carefully and thoroughly vetted for financial stability and customer satisfaction, among other criteria. MCBC members are also true “custom builders,” in that they’re able to offer one-of-a-kind homes built from unique sets of plans or allow their customers to choose from existing plans that may be significantly modified if requested. Not everyone who wants to join can meet MCBC’s rigorous requirements. “We expect a lot of each other,” says Cahill, whose father led the organization years ago and, in 1977, was named its Builder of the Year. The elder Cahill is now CEO of Cahill Homes while his son, a fellow University of Florida who also has an MBA from Bellhaven College, is its president. Additional expertise is provided by Judd Webster, Cahill Homes’ executive vice president, another Orlando native. Webster joined the company in 1980 and is the hands-on manager of everything related to construction. Fun fact: There are two “Cahill” builders in the area. The original Cahill Homes is the one founded by Steve Cahill in 1977. The Dave Cahill Company, which also operates in the custom home market, is operated by Chad Cahill’s uncle, Dave. These days, Cahill Homes largely is focused on building primarily move-in-ready homes throughout expansive and amenity-rich Golden Oak at Walt Disney World Resort. The community’s popularity keeps the company busy. The company also builds custom masterpieces in Lake Nona Golf & Country Club, one of the region’s most prestigious private communities. Its Tom Fazio-designed championship golf course is bordered by more than 1,000 acres of sparkling lakes, and residents include many world-class athletes as well as top-tier executives and their families. In the City of Winter Park, where Cahill Homes is headquartered, the company’s custom homes can be found on scattered homesites. Winter Park, where property values have soared, has lately been a hotbed for new-home building, mostly on lots where more modest homes had been. But despite the activity in this affluent small city known for its brick-lined streets and cultural amenities, only a handful of builders — Cahill among them — are most often sought out by discerning buyers. According to Cahill, the company’s “sweet spot” is custom houses ranging from 4,000 to 4,500 square feet in size with four or five bedrooms. Buyers are looking for more open space, with great rooms and loft play areas being especially popular. An average Cahill home, including the lot, is priced at about $2.5 million. For more information visit cahillhomes.com or call 407-422-0733. A true custom home is a major investment. That’s why experts say picking the right builder is key. A true custom home reflects the individual tastes, needs and dreams of the homeowner. Building it is one of the largest investments you’ll make during your lifetime — so the highest-quality craftsmanship and the most attentive service possible are mandatory. Yet many people spend more time researching and investigating the purchase of a new car than the building of a custom home. These days, people in every profession are pressed for time. So, how can you ensure that you’ll get your money’s worth from a custom builder — both during and following completion of your project? The Master Custom Builder Council (MCBC), based in Winter Park but with members throughout Central Florida, can help you find the right custom-home builder. MCBC is a highly selective consortium of competitors who actually root for one another. • Speak to at least five former clients. These references can provide invaluable information, and a builder should readily offer their names when he or she makes an initial presentation. • Verify licensing. Is the builder a state-registered or state-certified contractor? All MCBC builders have a contractor’s license from the State of Florida and own their companies. Visit myfloridalicense.com, call 850-487-1395 or download the free Department of Business and Professional Regulation (DBPR) mobile app to check for yourself. • Evaluate track records. How long has the builder been in business? To become an MCBC member, a builder must be a permanent resident of Central Florida and must have been in the business of building custom homes for at least the preceding three years. • Scrutinize business practices. 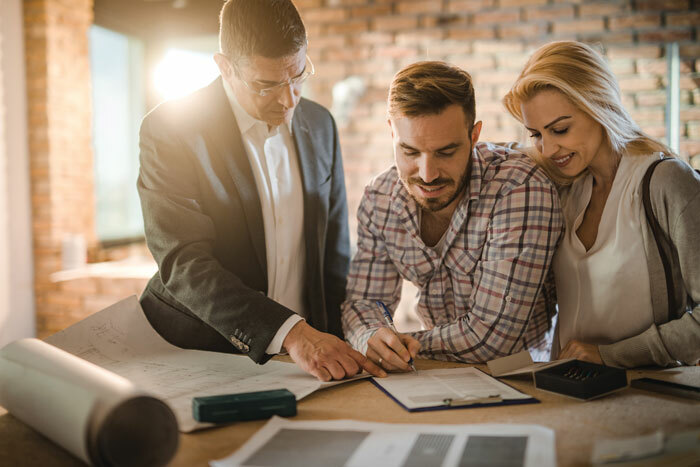 Ask the builder for at least five credit references and contact the vendors to find out how the builder meets his or her financial commitments. MCBC members have their credit monitored monthly. If everything checks out, you should then consider what style home you’d like. Look for a builder who has experience working in your chosen architectural genre and can make valuable suggestions on designs, material and finishes. Also, consider personal rapport. All the ingredients of a good relationship — including trust, communication and compatibility — must be present. After all, the builder you select will be a constant presence in your life for at least eight months. MCBC members believe you can’t cut corners on integrity, craftsmanship or personal service. That’s why they follow a strong Code of Ethics set forth by the organization. Finally, a builder who is truly astute about buyer relations will continue to offer service after your home has been completed and you’ve moved in. And remember: MCBC membership is an honor reserved for builders whose reputations have been established and sustained over time. Only MCBC builders’ homes carry the MCBC Seal; The Seal of Homebuilding Excellence. Contact the MCBC at 407-875-2121 or visit custombuilt.com for more information. Master Custom Builder Council (MCBC) members keep up with what’s going on in the industry. The group visits innovative homes across the U.S. and hosts speakers who discuss what’s new and what’s coming. Knowledge — along with craftsmanship, creativity, stability and service — is their competitive edge. Although custom homes are usually larger, today’s homeowners are placing less emphasis on square footage and more on the quality of materials. Also topping the wish list are more elaborate outdoor dining spaces with courtyards and fireplaces. First-floor guest suites are popular these days, while secondary bedrooms now often have private bathrooms. Taller vanities, fireplaces and fountains adorn lavish master bathrooms, as well as his-and-her vanity areas with stone flooring and lots of mosaic tiles. Black accents are being used along with polished nickel and brushed chrome fixtures. As for kitchens, cooktop hoods are getting special attention. Hoods, of course, are essential for proper ventilation. But today they’ve become akin to signature pieces of art, handcrafted from copper, glazed tile, stainless steel and various stones. It’s common now to see more contemporary kitchens equipped with large commercial stainless-steel appliances. Colored concrete countertops are now being used for outdoor summer kitchens. There are also notable trends in flooring. Lower-pile carpets with woven patterns and textures and even high-end commercial carpeting is being used in new custom homes. More exotic woods, such as bamboo, are becoming more popular. Entry doors are much larger, with wrought ironwork, glass etchings and detailed panels. Interior doors are also taller and wider, with glass and wood inlays and unique detailing. Exteriors include more architecturally correct details and deeper colors. Large, intricately detailed fixtures that complement the home’s architecture are being used extensively. Oversized chandeliers, for example, are popular in dining rooms. Large patios that offer a resort-style vibe with comfortable furnishings and fireplaces are important — particularly to homeowners who enjoy entertaining.